Home News How was the sixth DNA base discovered? 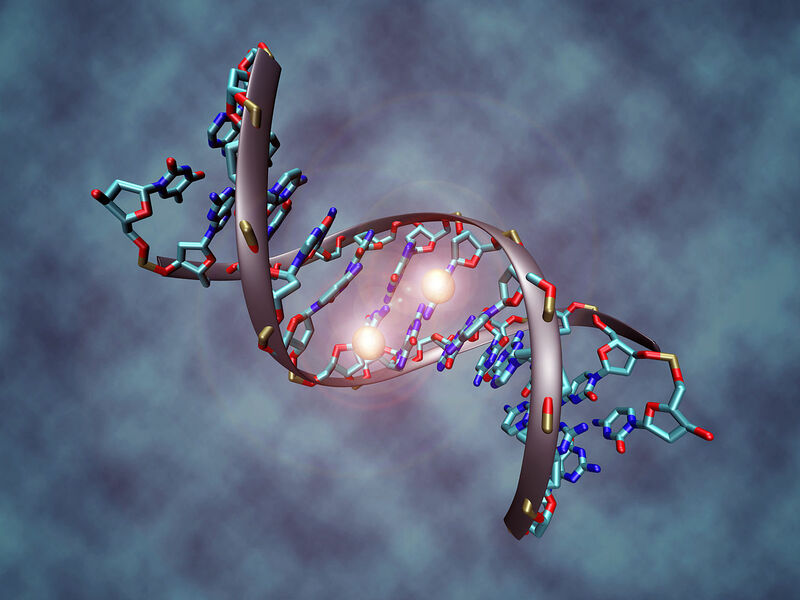 How was the sixth DNA base discovered? Who could ever have imagined that one of William Shakespeare's most famous works could provide us with a metaphor for epigenetics? As if part of a script, research into biology reached a watershed just over a decade ago, when the epigenetic switches that could turn gene expression on or off were discovered. The four classic "letters" of DNA were joined by another base, 5-methylcytosine (5mC), a particularly important epigenetic mark in mammals, which also plays a relevant role in the development of diseases such as cancer. What is the importance of N6-methyladenine which is described by the IDIBELL team? What tools were necessary in this research? A DNA molecule fragment that is methylated at two cytosines "Christoph Bock - Max Planck Institute for Informatics (Wikimedia)"
As Esteller explains in Cell, “genetic constraints hamper the response of cells to the changing environment”, whereby living beings need dynamic modifications that open up a new world of possibilities thanks to the switching on and off of gene expression. Unlike 5mC, barely found in prokaryotic genomes, 6mA is present in many bacteria, acting as a kind of "genome watchdog". Hitherto, it was known to act as a protective mechanism versus the activity of the restriction enzymes, being part of their defensive response to phages and plasmids. But do eukaryotic organisms have a sixth base in their DNA? The low concentration of 6mA in these living beings explains why its presence and possible epigenetic activity had not been ascertained. Thanks to the application of different technological cores, it has been possible to address not only the existence of 6mA in Chlamydomonas reinhardtii, Caenorhabditis elegans and Drosophila melanogaster, but also its possible functions in gene regulation. The script for the research, as if it had occurred to Shakespeare himself, with his feather quill in hand, cannot be written without the proper tools. In the case of Chlamydomonas reinhardtii, the unicellular alga used to study photosynthesis and biomass production, the technique applied for mapping 6mA in the genome was immunoprecipitation-based sequencing. Moreover, chromatography and mass spectrometry helped to estimate the concentration of N6-methyladenine, which is around 0.4 mol%. These high levels compared with other eukaryotic organisms remain stable and are inherited in the alga's different replication phases. While we do not as yet know exactly how the epigenetic switch works in this organism, the fact is that, according to Esteller's study, 14,000 Chlamydomonas reinhardtii genes would be marked by 6mA. In other words, 84% of the green alga's genome hides the sixth DNA base now characterised, a percentage obtained thanks to technological tools such as photo-crosslinking, exonuclease digestion and restriction enzyme-based sequencing. All good dramas, as Shakespeare knew all too well, need an unexpected scene to generate intrigue among the spectators. This intrigue is also present in the scientific community in the curious case of Caenorhabditis elegans, a model organism in which it was believed that the sixth DNA base was not present. The curious script of epigenetics always affords us some kind of surprise, and in this case the use of UHPLC-MS/MS analysis, a highly sensitive technology, rendered it possible to discern low levels of 6mA in WT worms. Even in some of the characters of this peculiar research work, the so-called spr-5 mutants, a high concentration of 6mA was found, which could suggest a key function in the transmission of hereditary epigenetic information. Caenorhabditis elegans, An adult C.elegans worm "Omegatron (Wikimedia)"
The scientists then decided to address the distribution of the epigenetic mark in different tissues of the worm. Using the immunofluorescence technique, they concluded that all C. elegans cell and tissue types contain 6mA, with the exception of sperm. These results dispel any trace of intrigue as to the presence of N6-methyladenine in this organism. Once they had written the tissue distribution chapter, the researchers led by Manel Esteller addressed a no less difficult challenge: ascertaining the possible genomic hiding place of 6mA. Thanks to the sequencing known as MeDIP-Seq, they concluded that 0.7% of the worm's adenines were methylated. In the future, according to their publication in Cell, more genomic and functional transcryptome studies will be required to characterise the role of 6mA in C. elegans. As Shakespeare taught us, any good work of drama deserves a finale that closes the story and astounds the spectator. With this objective, they addressed a twofold challenge with Drosophila melanogaster: to evaluate the presence of 5mC and detect 6mA, so as to, if positive, hypothesise on their functional activity. In this case, 5-methylcytosine was detected by means of the UHPLC-MRM-MS/MS analysis, although the sixth DNA base called for a more comprehensive approach. 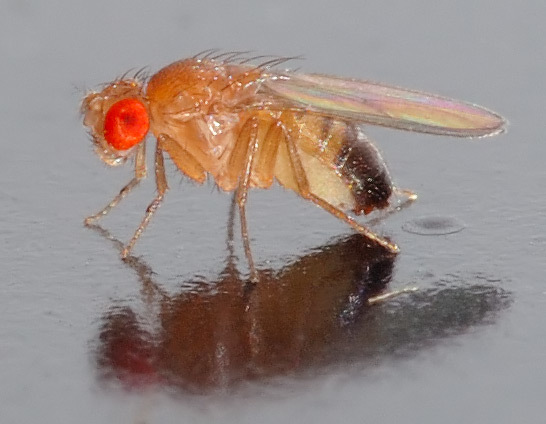 The use of techniques such as Dot-Blot, UHPLC-MRM-MS/MS analysis and high-performance mass spectrometry, made it possible to confirm its presence in the well-known fruit fly. The experiments conducted on the DMAD enzyme that regulates in vitro and in vivo demethylation indicate that 6mA could play an important role in the embryonic development of Drosophila. Just as the theatre would not be the same without Shakespeare's imagination and resourceful way with words, epigenetic research needs powerful technological cores to continue to add pieces to the puzzle of knowledge. Thanks to the work done by Esteller's team, the existence of 6mA has been confirmed in different eukaryotic organisms, and some of its functions have been characterised. As such, this particular epigenetics script is “To be continued”, leaving certain questions regarding the presence and activity of 6mA in other genomes, such as the human genome, open.